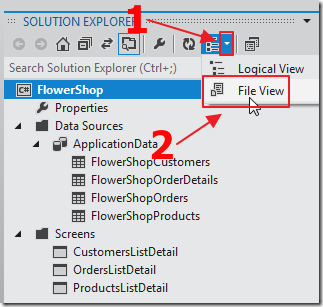 This article is a continuation of the article: Calling LightSwitch 2011 OData Using Server Side Code. In that article only reading the OData source was covered. In this article we will cover Creating, Reading, Updating, and Deleting (otherwise known as CRUD). 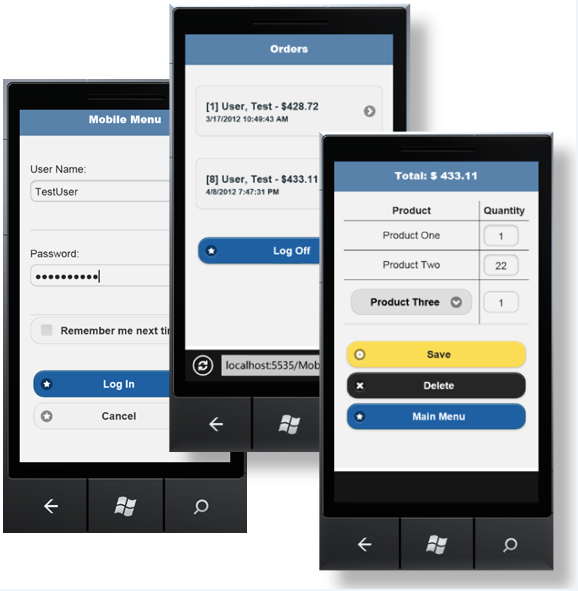 We will also use JQuery Mobile and target the sample application to work with mobile devices. This is done only so that we can create a small application to easily present the relevant CRUD operations. 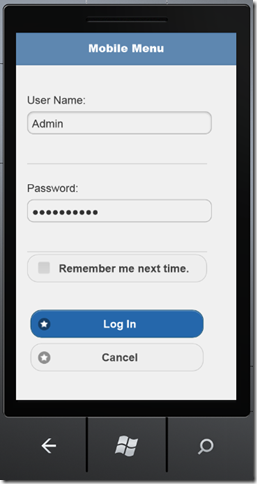 When the LightSwitch application runs, navigate to MobileMenu.aspx page and you will be presented with a login menu. Note: If using Internet Explorer 9 in “compatibility mode” the login won’t work so turn it off for testing. I did not detect any problems with any mobile devices. If a user is an Administrator they will see all Orders, otherwise they will only see (and be able to edit) their own orders. Clicking on an Order displays the details. 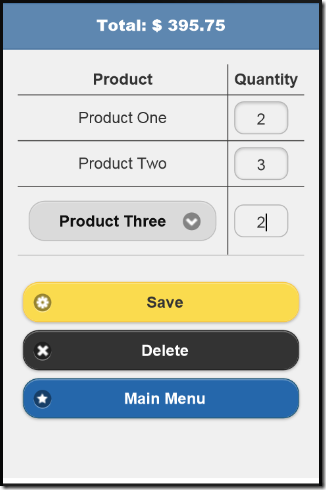 To remove an item, set the Quantity to 0 and click Save. 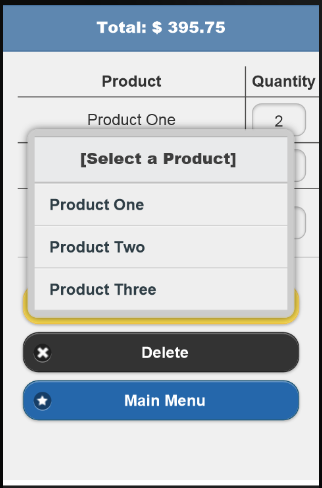 Clicking the Delete button allows an Order to be deleted. 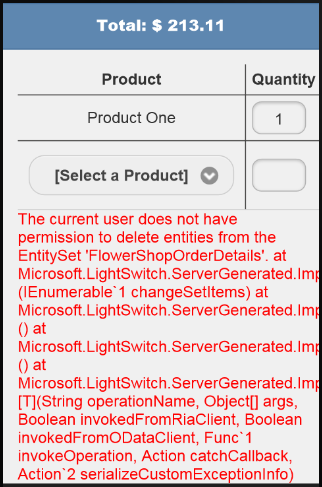 A non-administrator will not be able to delete an Order (this is by design). Clicking on the dropdown at the bottom of the Order details table allows you to choose a Product to add. 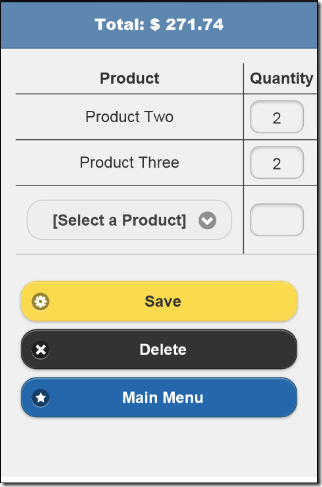 Entering a Quantity and clicking Save adds the Product to the Order. 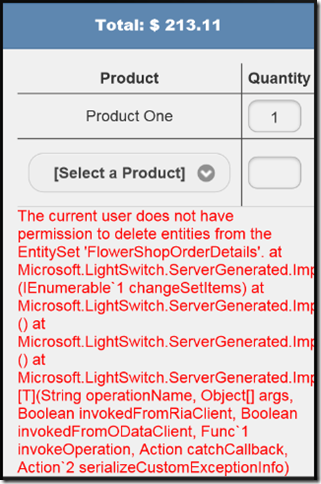 The validation, including the messages, are generated by LightSwitch. 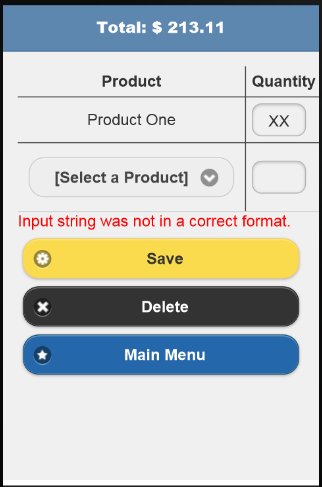 Error codes are also returned if you need to craft more user friendly validation errors. 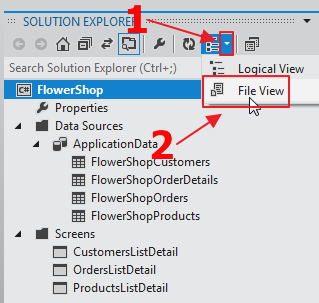 The remainder of the application is in the ASP.NET web pages that we can access in the File View. All the pages are contained in the Server / Mobile folder. The Android.aspx page was covered in the article: Communicating With LightSwitch Using Android App Inventor. The OrderEdit.aspx page was added for this tutorial, and the existing Login.aspx page and MobileMenu.aspx pages were altered for this tutorial. 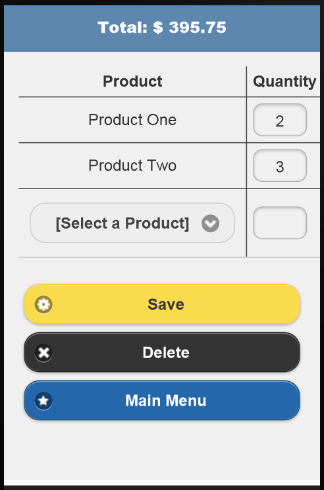 <asp:Button ID="LoginButton" runat="server" CommandName="Login" Text="Log In"
<%@ Page Language="C#" AutoEventWireup="true" CodeBehind="MobileMenu.aspx.cs"
The OrderEdit.aspx page displays a single order, allows Order Detail items to be added, and for Orders to be deleted. <%@ Page Language="C#" AutoEventWireup="true" CodeBehind="OrderEdit.aspx.cs"
<asp:TextBox ID="txtInsertQuantity" runat="server" Columns="2" data-mini="true"
Columns="2" data-mini="true" MaxLength="3" Width="40px" type="number"
<asp:Button ID="btnSave" runat="server" Text="Save" data-icon="gear"
<asp:Button ID="btnDelete" runat="server" Text="Delete" data-icon="delete"
<asp:hyperlink id="lnkMainMenu" runat="server" navigateurl="~/MobileMenu.aspx" data-role="button"
Silverlight is not “dead”. In fact it provides the best, most efficient user experience. 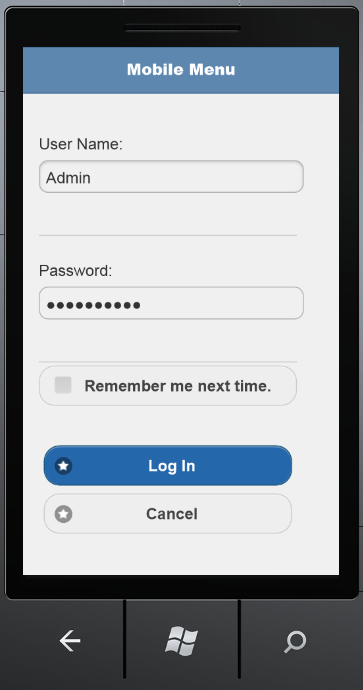 Also note, It took a full day to write the ASP.NET/JQuery code, and two full days to debug it, while the LightSwitch code that creates the Silverlight user interface was created in less than 15 minutes. Well thank you very much!! How the heck am I supposed to concentrate at my day job now; knowing that I can do all this. I need to focus... FOCUS I tell you ...bah, forget it, I just got to try it now. One of my favourite articles to date Michael! 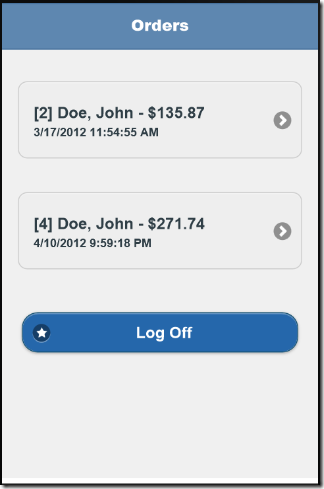 @Paul Patterson & @DotNetLore - Thank you for the feedback, it is appreciated. it means that I can use this application with IOS devices? Thank you for example. I noticed that whenever you do a Server.Transfer or Response.Redirect from the C# code the page tranfers correctly but the URL is not correct. 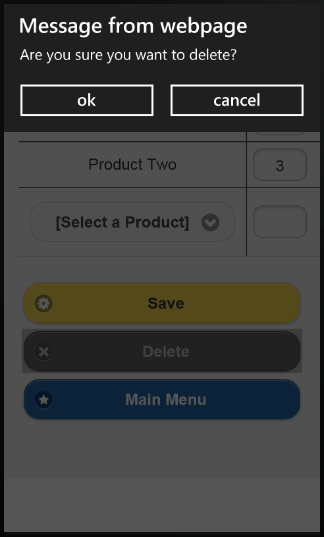 Example would be when you login instead of http://localhost:16978/MobileMenu.aspx showing in the URL we get http://localhost:16978/login.aspx#/login.aspx. 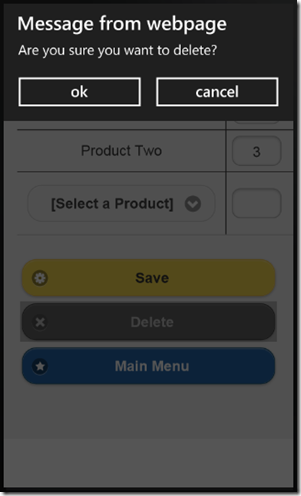 Another example is when you edit an order and go back to the order list instead of http://localhost:17234/MobileMenu.aspx showing in the URL we get http://localhost:17234/OrderEdit.aspx?Id=1#/OrderEdit.aspx?Id=1. This would create problems if user hits refresh. Any idea what is causing this? Thanks for any help. 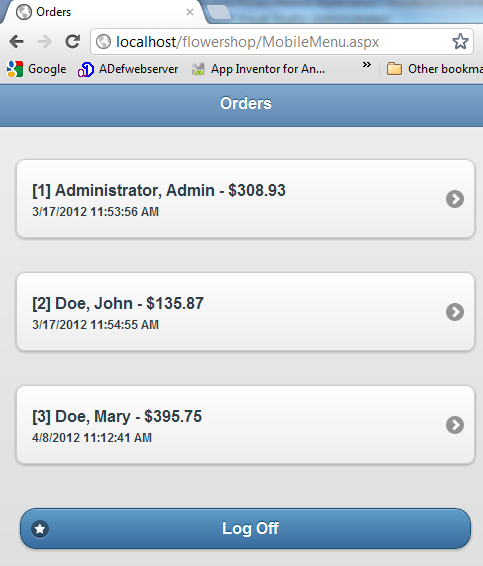 @David Moss - I used Server.Transfer to work around other jQuery Mobile issue I was having. The fact that the URL is not changed on a Server.Transfer is an unfortunate thing. 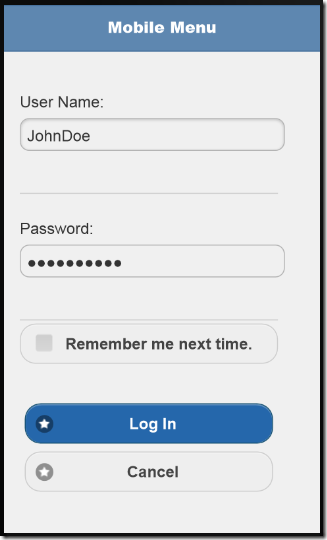 Should the "Remember Me" checkbox on the Login.aspx page be working? Username does not seem to be remembered. @David Moss - It works for me. Perhaps your cookies are disabled. Maybe I'm not understanding the "remember me" functionality. 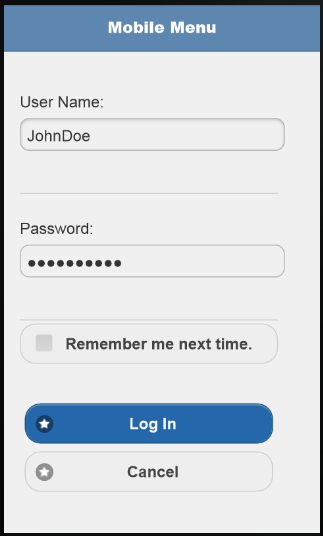 Should it be remembering the "User Name" the next time the login.aspx form is browsed? @David Moss - I just tested and it is not working for me. I was mistaken.